Andy Kim (NJ-03) and Tom Malinowski (NJ-07). Both men spent time in his extended administration so no surprises there. Jeff Van Drew (NJ-02) and Mikie Sherrill (NJ-11). Maybe they don’t want Obama’s backing. Would an Obama stamp of approval be a little too on the nose for liberals masquerading as centrists? Van Drew’s flip flopping on a variety of hot button issues including abortion is a matter of public record. Sherrill is no better. 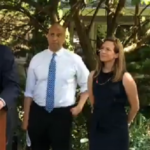 She recently participated in a Morristown rally where the assembled demanded the abolition of ICE; mere hours later, the Democrat nominee told NJTV that she didn’t want ICE abolished. Life is complicated when your values system is 100% adjustable to fit your audience. Van Drew and Sherrill may be running in very different districts at opposite ends of the state, but they certainly share this disconcerted trait (if nothing else) in common. Republican campaigns aren’t doing their jobs if they fail to ask “why” Van Drew and Sherrill aren’t embracing by choice — or didn’t get the chance of an embrace — from the closest thing the Democrat Party has to a leader at the moment. They’re all frauds. Reveal them. 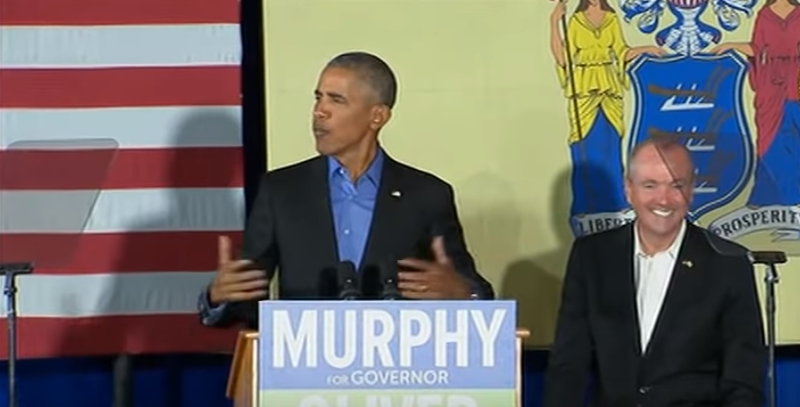 Previous Previous post: Ant’s Rants: Murphy’s State-Run Media Plan is a Big Step Towards Socialism in N.J.
Next Next post: When will N.J. Republican leaders start demanding smaller, and not just “better” government?